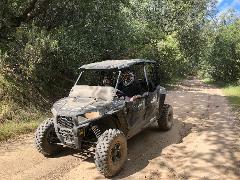 Rent a RZR to go off-roading through the Sierras. Use our Custom GPS system to follow a highlighted route through the forest! Rent our 6 seat Yamaha Viking and take your friends and family off-roading! Rent our 4 seat UTV and take your friends and family off-roading! Rent a Jeep to go off-roading through the Sierras. Use our Custom GPS system to follow a highlighted route through the forest!